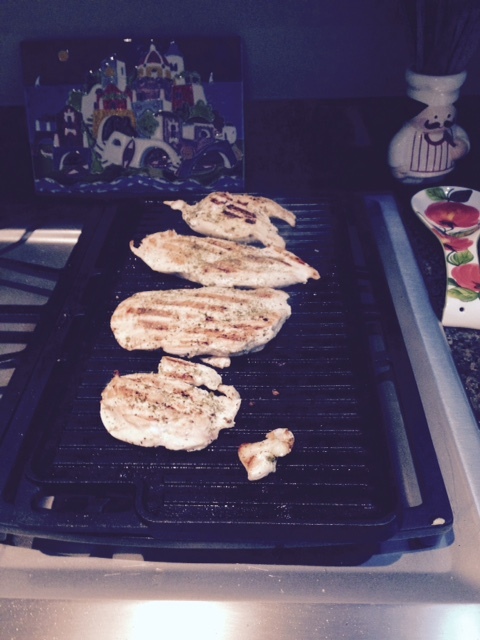 I’ve been blogging this week about easy summer grilling meals that also are low in salt, fat and sugar. Today’s pick is chicken breast topped with a low-salt, low-sugar barbecue sauce like the LocalFolks variety I buy. Chicken has become my go-to meat choice now that I’ve had two stents put in during the past five years. And I’m constantly searching for more ways to cook it, as you can see on my recipe page. I recently saw this recipe for chicken paillard and I thought, what is a paillard and is it tasty? My quest for low-salt, low-sugar ketchup led me to try Doc’s a while back but I’ve written about how it was too spicy for my tastes. Rather than throw out the bottle, however, I’ve been saving it to use as a barbecue sauce, figuring the spiciness would work better for such usage. Ingredients for my barbecue garlic chicken. A major recall of chicken is underway, if you bought chicken recently at a host of retailers, check it immediately. Check your chicken, there’s a major recall underway.